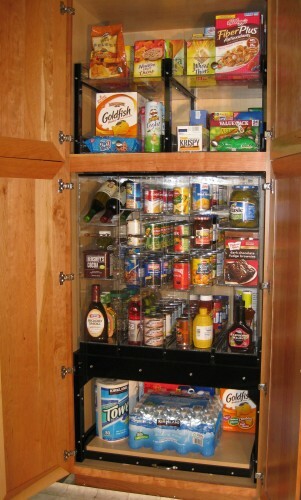 Best Kitchen Organizer Available: Efficiently organizes more items than any other food storage system. Uses all of your valuable cabinet space. Clear Acrylic: Sturdy and easier to clean than wood drawers or metal plated baskets. Arrange items and view easily. Luxurious, sleek appearance. Visible and Accessible: Eliminates accidental duplicate purchases and expired or stale items in the back of your cabinets. Saves money and effort. Adaptable: Works with your new or existing kitchen pantries. 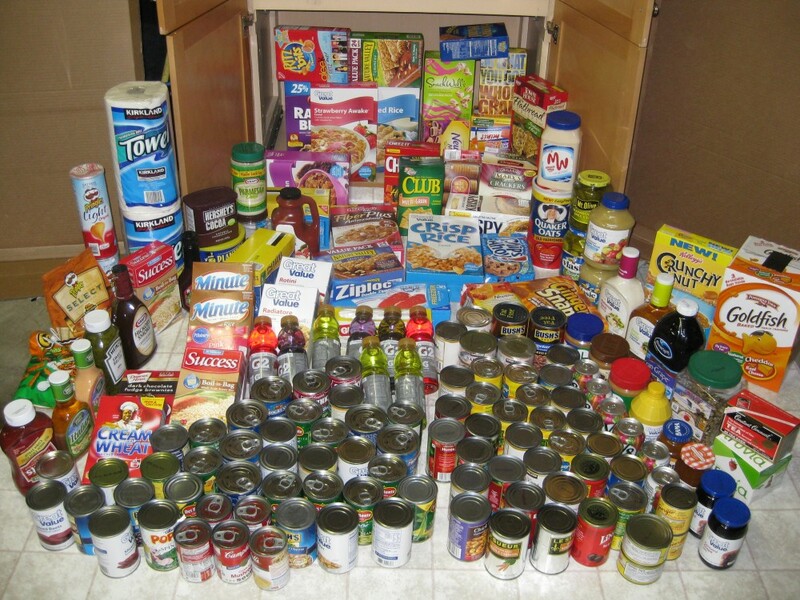 Select the units to achieve a kitchen pantry that works best for you. Clear Advantage Pantry is a semi-custom system with 3 standard size rollout units that can be mixed and matched to fit any standard 24″ deep pantry. 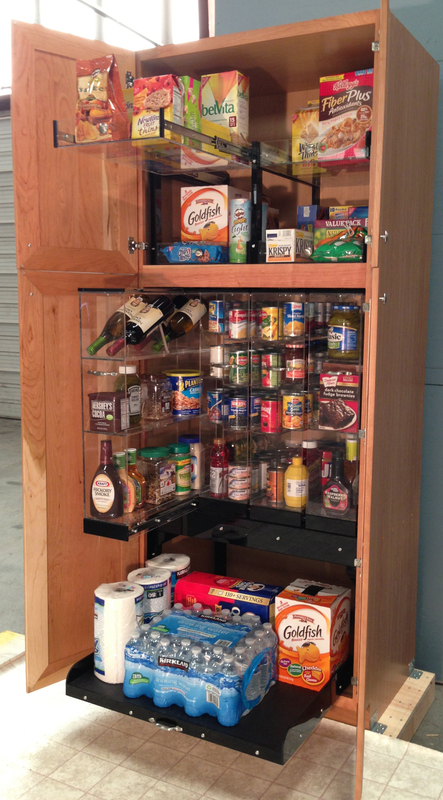 Works well in a pantry closet or walk-in pantry that has a 24″ depth. All the food items shown organize well in the Clear Advantage Pantry. Items on the pull out drawer at the bottom of the cabinet were added after the picture was taken.